Ten years ago the future of franchise films changed forever when Marvel released Iron Man, a movie that sparked a cinematic superhero journey and gave fans the MCU’s fearless leader Tony Stark, played by the quippy and brilliant Robert Downey Jr. 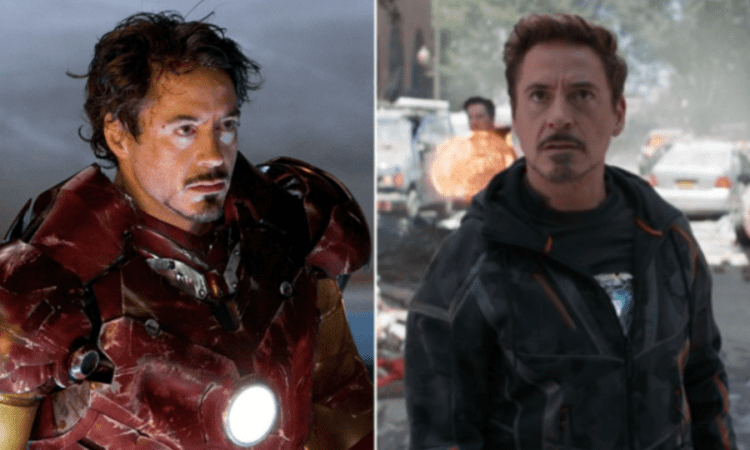 Since then Downey has appeared in eight other Marvel films, including solo films and crossovers, with one more on the way in Avengers 4. He has put his footprint on pretty much every hero the MCU has introduced and in a way is solely responsible for the continued success of the franchise. It all started with him and the journey that Tony Stark has embarked on over the past decade is nothing short of extraordinary. One of the other aspects about Tony Stark that makes him so unique and beloved in the MCU is the fact that his powers stem from his own intelligence. He wasn’t bitten by a radioactive spider or created in a lab, he became Iron Man using what he had and his powers are often unmatched. Similar to Iron Man’s footprint, Stark Industries has found a way to impact a lot of the other characters, including Spider-Man’s latest Iron Spider Suit. “Tony Stark’s powers are fascinating because they basically come from his mind, they come from his scientific knowledge, his brilliance, his intelligence, and his aspirations. It allows you to track a journey in the character and watch him evolve and better himself through the use of these powers. He has one of the most exciting power sets of any of the characters,” Anthony Russo added. Much like Tony is a mentor and colleague to various heroes in the films, Downey Jr. fills the same role off camera. “It’s low-hanging fruit to say Downey. He’s such a wonderful guy and is so talented, so experienced, and so supportive. He’s always been in my corner and I’ve always felt supported by him. He really brings everybody into the group and makes sure everyone feels welcome, especially on this last one,” Chris Evans said at a convention earlier this year. Tony Stark managed to survive Thanos’ snap in Infinity War that wiped out half of humanity, so while his future with the MCU is still unclear, fans will get to see him fighting alongside the original Avengers in next May’s Avengers 4. Do you agree that Tony is the heart and soul of the MCU?